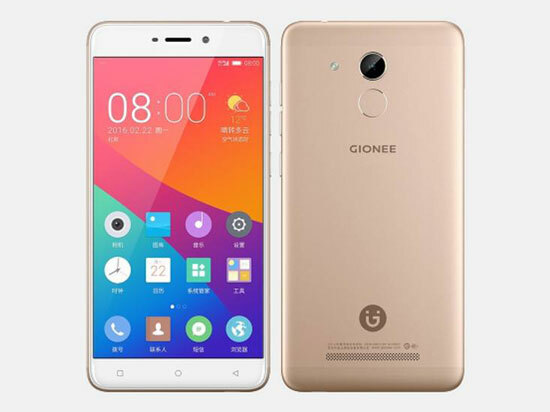 In addition to introducing the latest two entry-level smartphone, Gionee F100 and Gionee F103B, Gionee also introduce Android smartphone middle class who are called by the name of Gionee S5. Gionee S5 comes with using all-metal unibody design or across its body using a metal material. This smartphone has a touch screen measuring 5.3 inches with a resolution of 720 x 1280 pixels and produces a pixel density of 294 ppi, and is coated with Gorilla Glass 2.5D Curved. Gionee S5 runs using the operating system Android 5.1 Lollipop with Amigo 3.1 UI interface. Meanwhile, to support the performance, rely on MediaTek MT6750 chipset are supported with octa-core 1.5GHz processor and Mali-T860 GPU. And equipped with 4GB of RAM and has 32GB of internal memory and microSD slot up to 128GB. Gionee S5 is equipped with a 13 megapixel rear camera with phase detection autofocus, LED flash, and armed with a 5 megapixel front camera. Gionee S5 comes with other features such as 4G LTE with VoLTE, GPS, Wi-Fi, Bluetooth 4.0, and battery capacity 2.900mAh and has a USB port Type C 2.0. There is no information about the timing of release and also the price tag of Gionee S5, but certainly this smartphone will be available in a choice of Gold and Silver.